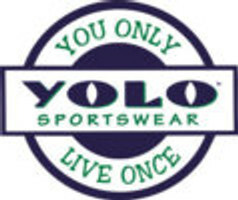 Periodically, YOLO Sportswear will offer specials that will require you to input a coupon code at checkout. It is your responsibility to input the code before you checkout and your card is charged. YOLO will not credit any amount on orders due to a failure to take advantage of the coupon code. Please note that any FREE SHIPPING coupons will not be available on any rush delivery options. If you have any questions, please call us toll free at 888-USA-YOLO to discuss, PRIOR to your placing an order.